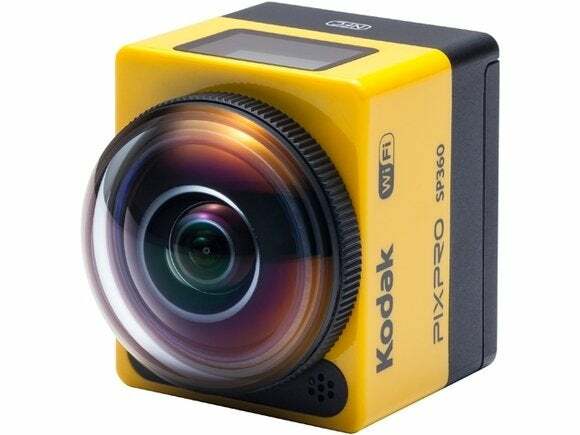 JK Imaging, which licenses the Kodak brand, released the Kodak PixPro SP360 Action Cam late last month in the U.S., and in September in Europe, while VSN Mobil’s V.360 camera will be out this month. They are each 16-megapixel cameras priced at US$349.99. The cameras have wide lenses that capture 360-degree panoramic video and pictures. They won’t replace conventional cameras anytime soon, but could be attractive to people who want to take videos of downhill ski runs, bike stunts, surfing or skydiving. The Kodak PixPro SP360 can take 1920 x 1080 pixel video at 30 frames per second. Lower-resolution videos play at more frames per second. The camera can split video into two 180-degree angles simultaneously and it can also take a “dome” picture at a 214-degree angle, which could be good for capturing sunrise or sunset. VSN Mobil’s V.360 camera can take video at 6480 x 1080 pixel resolution at up to 30 frames per second.